Last week, I received four different emails from Trade Brains’ subscribers asking about 5Paisa Review and how to open a demat and trading account at 5Paisa. Therefore, in this post, I’ve decided to write a synopsis of 5Paisa stockbroker and walk you through the complete step-by-step process to open a demat and trading account at 5 Paisa. 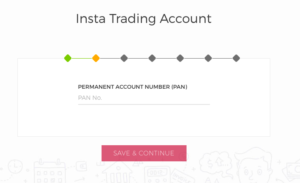 5Paisa is a discount broker which provides you the platform to trade in Stocks, futures and options at the lowest cost of Rs 10 flat per trade (even if you trade for Rs 10 Crore). It is headquartered in Mumbai and is a part of India Infoline (IIFL), a leading non-banking financial institution in India with experience of over two decades (initially incorporated in 1995). 5paisa was re-launched with new brokerage model for online retail broking services in late 2016. Later, it got de-merged from IIFL so that it can be listed on the stock exchanges. 5Paisa Capital started trading on NSE/BSE in November 2017, making it the first such listed financial digital marketplace. 5Paisa offers multiple services in online trading, mutual funds investment, online insurance, and Robo advisory. 5 Paisa is the fastest and first discount broker to cross over 1 million mobile downloads. 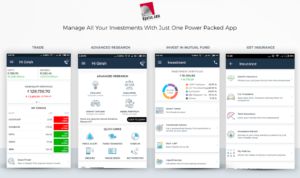 It provides you the facility to manage all your investments- Equity, Currency, Mutual funds, IPO, Insurance, NFO, FNO, NCD etc -with just one power-packed app. Flat brokerage of Rs 10 for Equity Cash, F&O, and Currency derivative. Online Trading (Stocks, Futures & Options, and Currencies at NSE and BSE), Mutual funds and Insurance services under one roof. Free fundamental, technical and derivative research & financial advice to customers. Advanced and FREE technology-driven trading platforms across the web, desktop and app based. 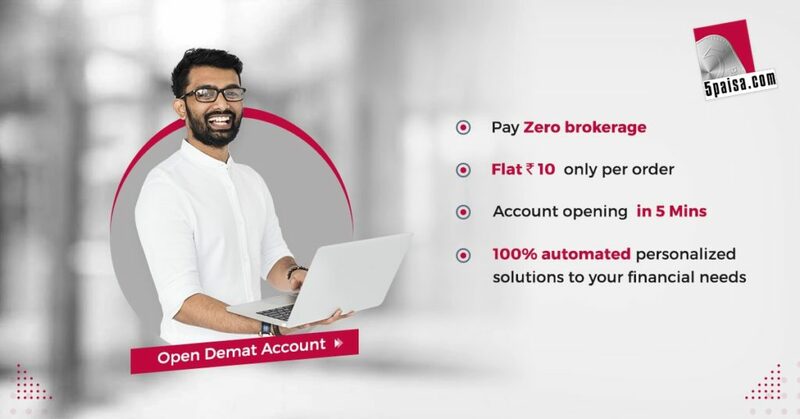 5Paisa doesn’t offer 3-in-1 account (only demat and trading account available). You have to link your existing saving account with the 5Paisa account. It doesn’t offer commodity trading. How to open a demat and trading account at 5paisa? You can open a 2-in-1 demat and trading account at 5Paisa completely online (no paper documents required). The procedure is very fast if you have all the documents ready. As a matter of fact, you can complete the account opening process within 5 minutes. For normal intraday and delivery trading, the only documents that you’ll require are the online copy of PAN Card, Aadhar Card and Cancelled cheque. Further, if you are also planning to trade in derivatives, then you’ll be required to submit your income proof. Visit 5Paisa website using this link. Enter your personal details (Name, email, password etc). Follow the simple six-step process to enter the details of your PAN CARD, Aadhar Card and bank details and complete the payment. After completing the online application, the online trading accounts get activated within 2-3 hours and you can start trading. Quick Note: The Offline account opening process is also available where you can download the application form, print it, fill it up and send it to 5paisa Mumbai office. Overall, if you try online account opening process, then it’s is really fast and straightforward.